Ferrari driver Sebastian Vettel praised the pace and behaviour of his car during the Friday free practices for the Mexican GP after topping the time sheet in the afternoon’s session. The German, however, expects Mercedes to take over the regime on Saturday. 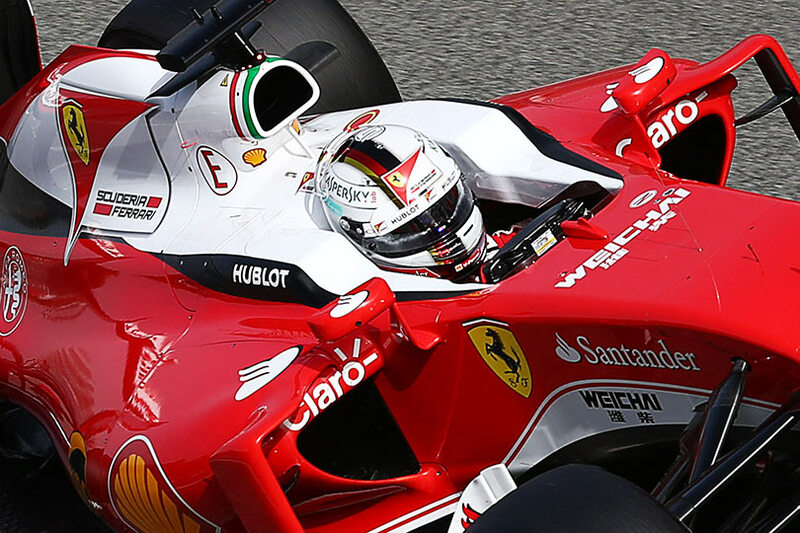 Ferrari showed consistent pace in the opening session in Mexico, especially in the hands of Sebastian Vettel. The German who was carrying out important aerodynamical experimenting in the first practice went on to top the second session. The quadruple champion was happy with the car’s consistent behaviour and long run pace. Traffic made it hard for drivers to complete clean long runs. Vettel also had to back off at certain points of his race simulation runs to find some free space. However, his long run pace was the most consistent from any drivers. Asked about the prospects, Vettel said that he expects Mercedes to take over the lead as Lewis Hamilton's qualifying simulations were not the perfect.